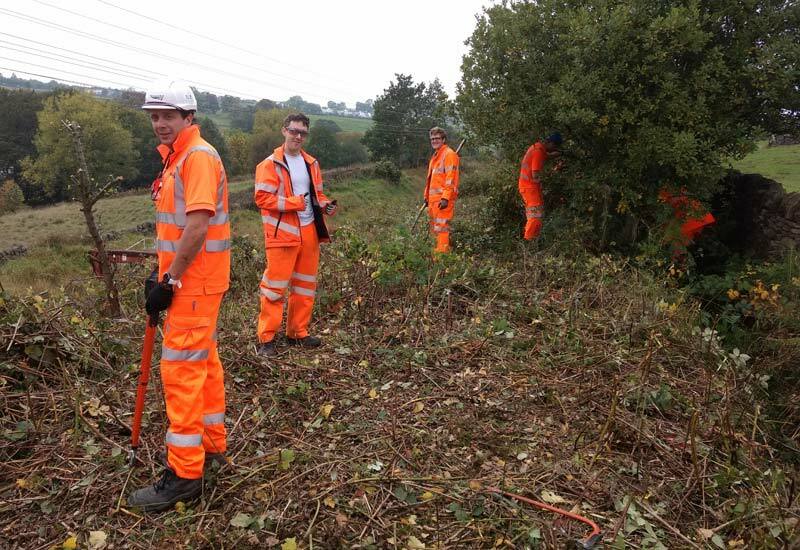 It is not a secret that, away from the railway, I am also an Engineer for Network Rail, who, as a company, have a fantastic policy of allowing their staff up to five days volunteer leave a year to undertake work at a registered charity. This is something I put to good use for Civil and/or S&T week each year, where I need time off during the week. I was approached 2 years ago by my colleagues to run team volunteer days at the KWVR. 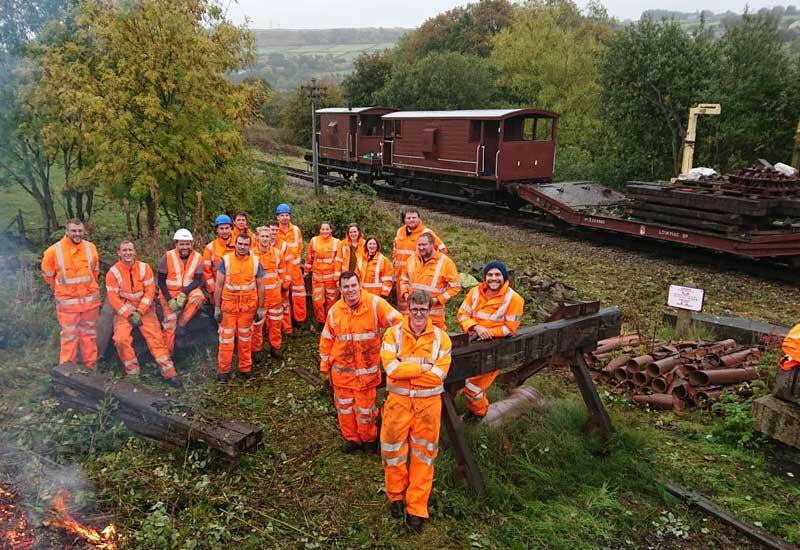 This arrangement has a mutual benefit in giving an organised volunteer day for Network Rail staff on which to use their allocation and helps the KWVR with some free labour. Initial volunteer days focused on sleeper changing but this has since shifted to focus more on off-track maintenance, principally drainage ditches. We struggle to keep on top of the clearance of drainage ditches and some have not been touched for many years, so these days provide us with a fantastic opportunity. Drainage on the railways became a bit of a forgotten art for many years, with drainage left to look after itself, indeed this happened on the national network more than it did on the KWVR. Drainage was never a priority unless it flooded. This has had some long-term consequences around the whole country, including away from the railways. We are trying to now change this with a steady yearly programme of drainage works going ahead along the branch. Ditches at the top of cuttings are one vital piece of the jigsaw, they prevent the cutting slopes from becoming water logged. Being waterlogged, in simple terms, makes it more likely to fail, as well as increasing the risk of flooding and the impact this has on the track (Wet Beds). Water is the enemy of a civil engineer is a common sentiment! 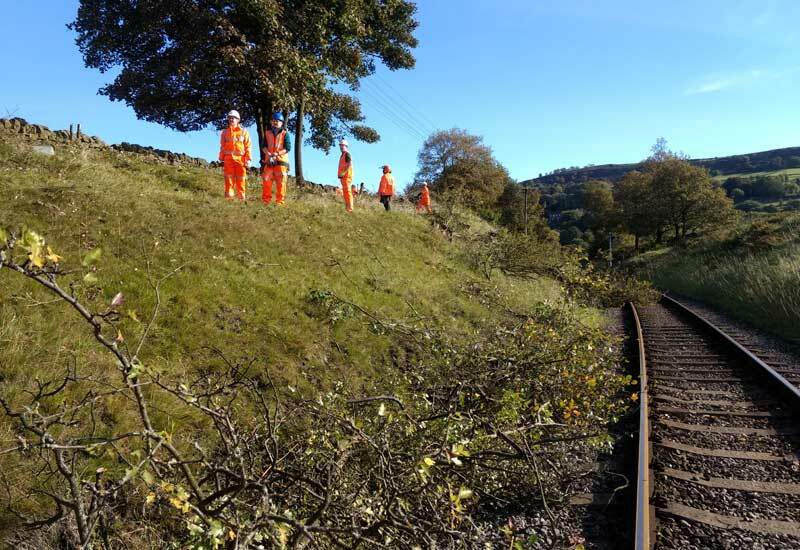 The ditches between Oakworth and Damems on the West side of the line have not been cleared for a long time with some substantial tree growth leading to long term siltation and some localised failures. On this section we have had previous landslips, pictures are available in the depths of the archives. 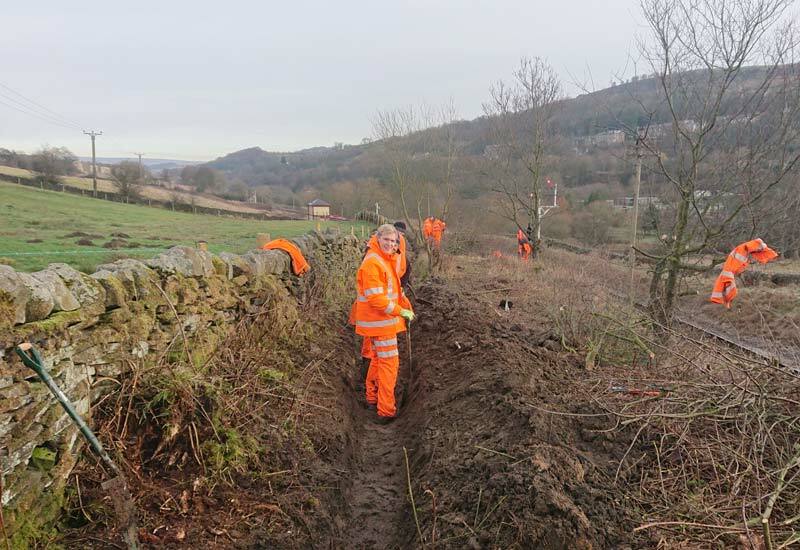 So, in January 2019 we held our fifth volunteer day since I started running them in March 2017, and the fourth day spent on the cutting crest ditches between Damems and Oakworth. The difference is remarkable, if you have not noticed please look out as you pass, it is easy to compare it to other areas of the line, especially towards the signal box at Damems. Where tree stumps of various sizes can be seen and a sudden lack of heavy scrub vegetation. There are plans to continue this de-vegetation further with our friendly local tree surgeon tackling the bigger stuff. Although you can’t see this from the train. 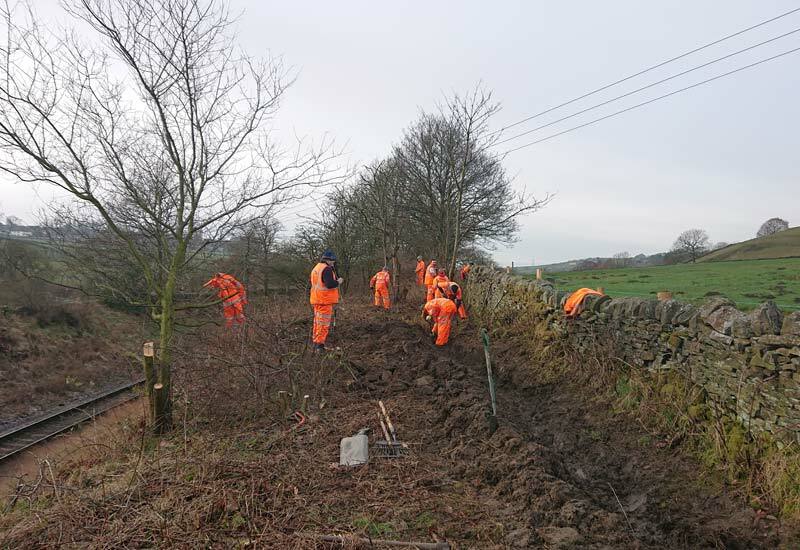 the ditch is now free flowing in several areas and the main problem areas are being targeted with more intensive work using mechanical plant as the year goes on. This should include removing tree stumps and root balls from the ditch. 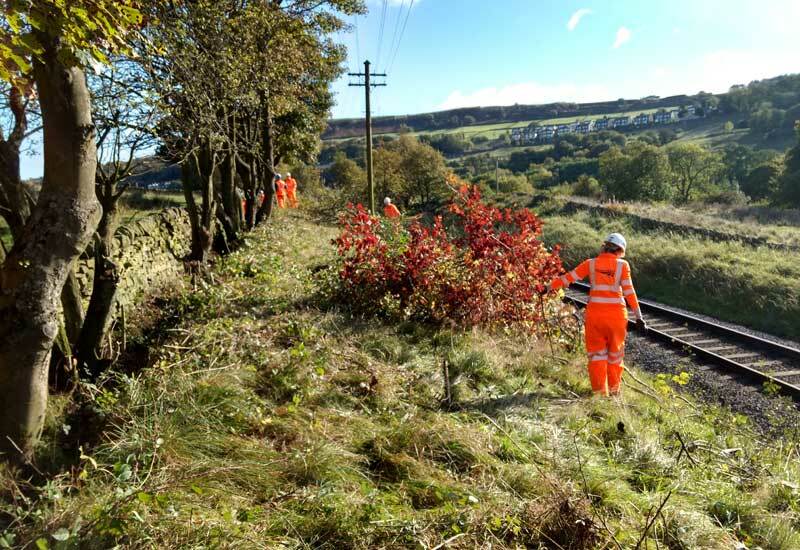 This project was originally a 10-year rolling programme to gradually improve the cutting as and when we could. An unexpected opportunity during this May’s S&T Week possession and the big increase in man power that has come with the volunteer days means this has now been reduced to a two-year programme. A real measurable reduction that very quickly demonstrates the value these volunteer days can add to the KWVR. 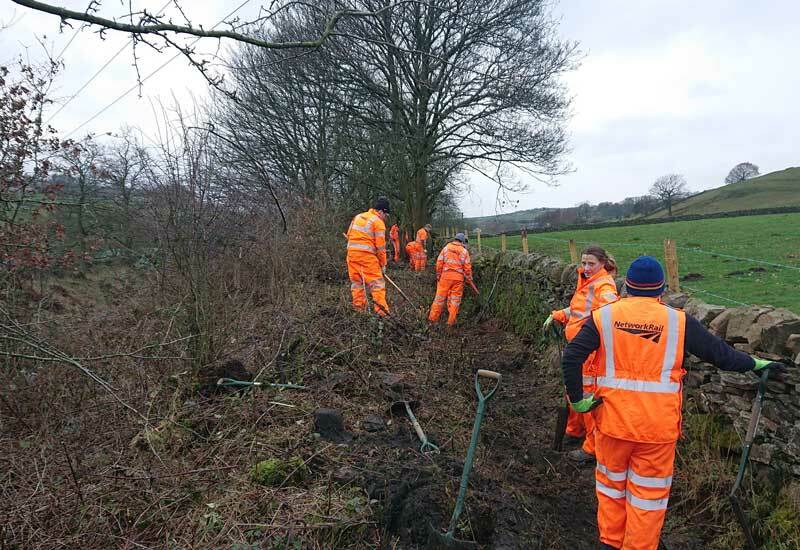 I cannot express enough my gratitude to the volunteers from Network Rail, who come twice a year to help us out, no matter what the weather. They are a fantastic addition to our workforce and provide us with some very good free labour. I also hope they enjoy themselves a little bit too! The world around us is changing rapidly, from the number of volunteers, and the amount of time they can give, to the expectations of the Office of Rail and Road (rail regulator). 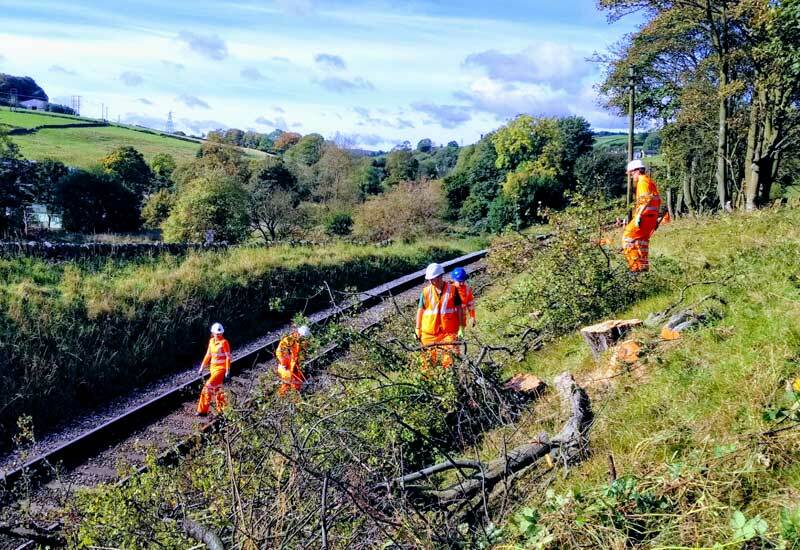 Because of this these, relationships will be vital to ensure the KWVR continues to be maintained safely for the ever-increasing amount of trains we want to run! 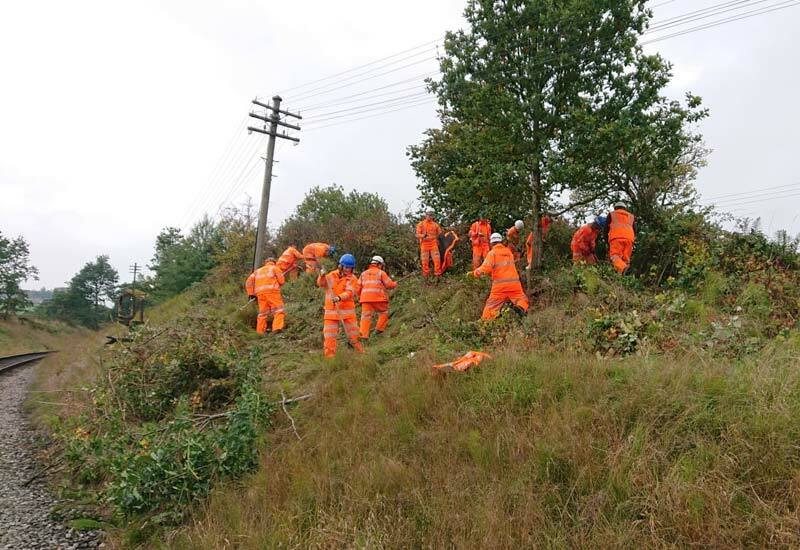 Network Rail are not the only company to help, but more about that later. And now, as ever, I finish with a plea for volunteers, we are always happy to welcome anyone into the department. Please come and talk to us if you see us in our orange we do not bite! 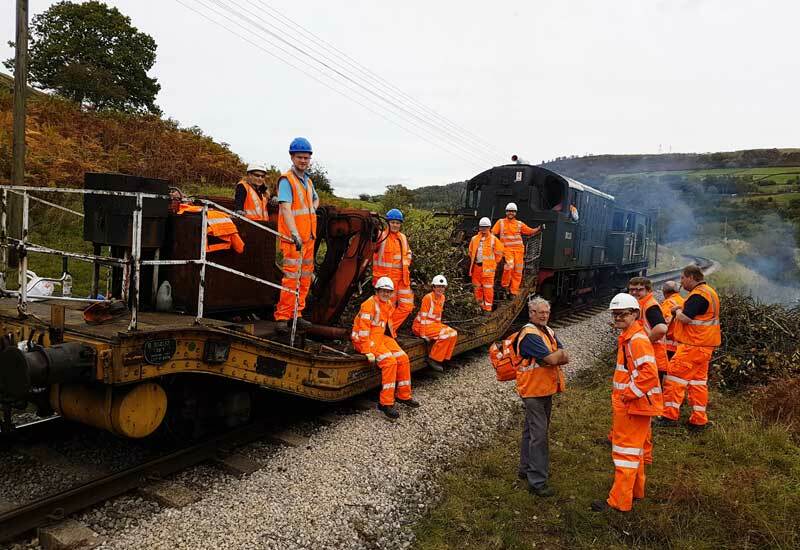 If you are interested please contact the railways volunteer liaison officer, contact details are here http://kwvr.co.uk/get-involved/volunteering/. 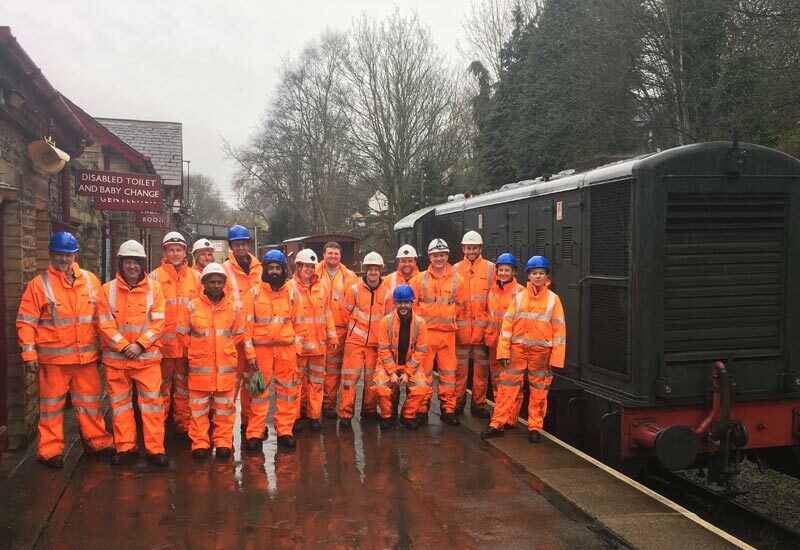 Hi James… I examine lifting equipment under the LOLER regulations for the Worth Valley Railway….I also have volunteer days available and wondered if my time would be of use to you / your team…..naturally available to do anything. When this came through I was the other side of the world, but did pass it onto James and he said he would be in touch. Let me know if you haven’t been contacted and I will give him a nudge – he’s quite a busy chap! If I don’t hear from you I will assume everything is OK.